Forget that South African pigeon! No doubt many of you have seen the stories doing the rounds that a South African carrier pigeon is faster than that country's broadband at delivering messages. The news emerged after a Durban-based IT company popped a USB stick on an 11-month-old carrier pigeon called Winston to see how long it would take to deliver 4GB of data a 60-mile distance. The company then compared the Winston's flight time of one hour and eight minutes (plus around another hour to upload the data on the recipients's system) with the paltry four per cent of the 4GB that had arrived in the same time via the company's Telkom ADSL broadband. The rules of the competition are even outlined in depth on Winston's own website with "no cats allowed" and birdseed not being allowed to "have any performance-enhancing seeds within." Yet while Telkom denied all responsibility for its dreadfully slow broadband, a rep at the UK's Virgin Media has been quick to inform TechRadar that, following his detailed calculations, a pigeon would have to fly at 330 miles-per-hour to beat their 50mbps broadband service. 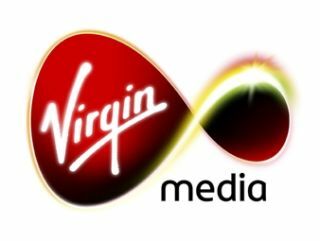 "On our service, that 4GB would take under 11 minutes to transfer," the Virgin Media rep proudly informed us. "For a pigeon to beat us, it would have to fly at nearly 330mph." Strewth! Even the fastest bird in the world, the Spine-tailed swift, also known as the White-throated Needletail (scientific name: Hirundapus caudacutus) can only do 171 km/h.